Water will only stay clean if stored safely. It is therefore very important to store water in clean storage tanks to ensure the health of plant and animal species which are consuming it. The usual methods include chlorination, which has its price. 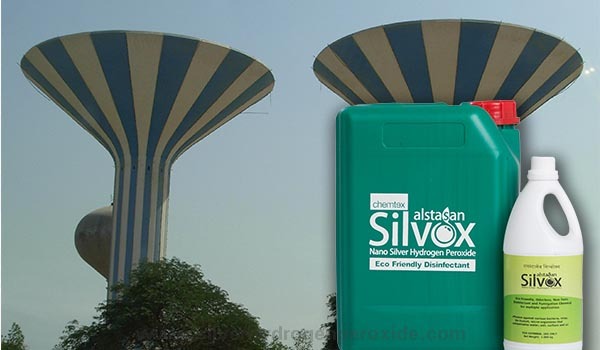 ALSTASAN SILVOX (Silver Hydrogen Peroxide based Biodegradable Disinfectant) addresses the concerned areas of water storage tanks without causing harmful/toxic effects. Hydrogen peroxide with silver is effective against all pathogens without altering/ compromising any quality of the residual product.